Home » Opinion » Why do dairy farmers deserve a Christmas bonus while others get nothing? Why do dairy farmers deserve a Christmas bonus while others get nothing? Whether the Minister for Agriculture likes it or not, the decision to give dairy and pig farmers a support payment prior to Christmas will be seen by other farmers as favouritism of one sector over another. The Minister has every right to argue that there is EU funding involved and it was specifically designed to help dairy and pig farmers. But that doesn’t matter to the average Joe beef, sheep and tillage farmer and how he will perceive it. 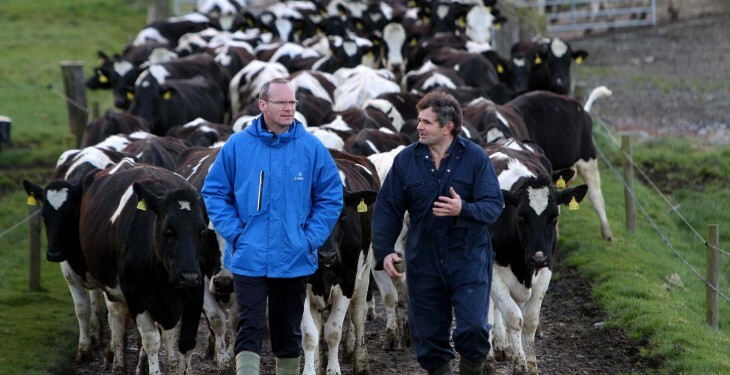 They’re going to say ‘It’s classic Coveney – looking after the dairy farmers again’. And the Minister has, in effect, favoured dairying over other sectors. The European Dairy Aid Package, under which it was agreed to give dairy farmers €13.7m has now been matched by the Irish Government. 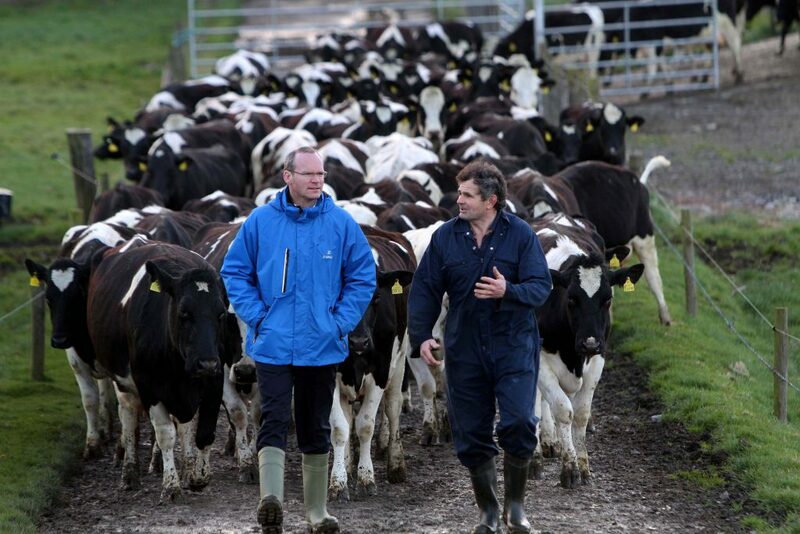 So Irish dairy farmers are now going to receive €27m – a move that clearly shows favouritism to the dairy sector. Other farmers have every right to ask why they’re not getting a slice of the €13.7m of Irish tax payers’ money destined for dairy farmers prior to Christmas. While, it’s undoubtedly been a tough year for dairy farmers, it’s not been great in any other sector either. The average dairy farm income is still significantly above that of any other sector. Last year the average dairy farm income was €69,000 and although it is down, on average to €48,000, it’s still significantly higher than the average beef farm income of €13,000. Let’s face it, there’s no mad rush of people closing the door of the milking parlour to go trying their hand at a bit of suckling. Unfortunately for Minster Coveney, he’s been landed with simple a ‘dammed if you do, dammed if you don’t’ situation at the worst possible time. If he didn’t co-finance the package, a ‘support payment’ of something in the region of €700 to dairy farmers would have looked completely laughable in the context of some of the bills that many dairy farmers are now facing. Having made the decision, the Minister in the run-up to a General Election is going to have to find a way of justifying why the Irish Government feels the most profitable sector in Irish agriculture deserves special treatment compared to everyone else. That’s going to be no mean feat for a Minister whose party will be hoping to hold on to the crucial farmer vote next year.